Dates: Early Fall Start: August 19 – September 13, 2019 (Note: credits apply to autumn quarter). Using the city of Rome and 2000 years of performance traditions, literature, painting, and architecture, this inter-active, inter-disciplinary humanities course considers a single site: Rome, and how Rome fashioned and re-fashioned its own charismatic image of imperial and cultural power first as the heart of the Roman Empire, then as the capital of Christiandom, later as a city of Papal Princes, the epicenter of high culture on any European tour, and finally Mussolini’s restoration of Empire. How Rome created its unique, charismatic position in European history is largely a product of its own self-promotion. Rome the city invented Rome the idea, and those acts of invention can be read as a powerful performance of civic identity. 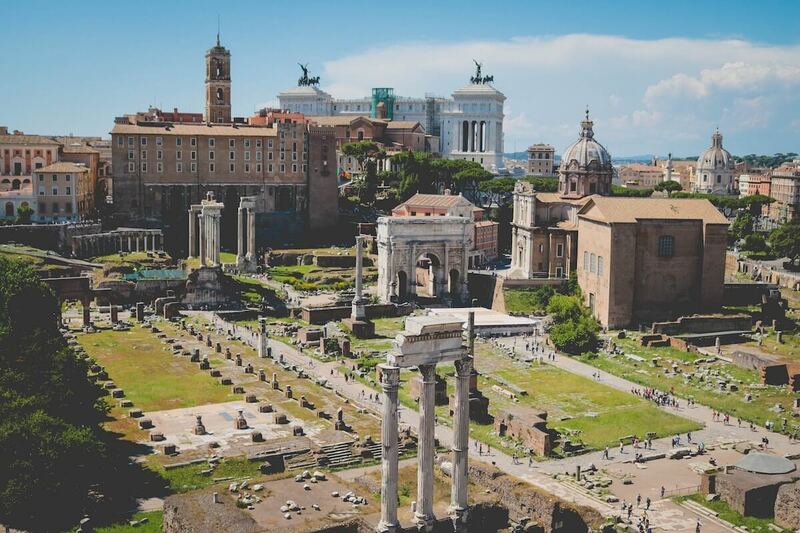 Combining tours of the city’s own treasury of art and architecture with readings about its past, we explore Rome as the center of power and culture across the ages. To study the city, we stand at the sites of power, feet in the present, the past at our reach. Infrastructure is provided through the UW Rome Center, which is located in central room in the beautiful 15th century Palazzo Pio building, which includes UW administrative offices, classrooms, student lounge and computer lab. Read more about our Rome Center here. Note: $3,850 program fee. Students do not pay tuition, instead they will pay a concurrent enrollment fee of $450. Total cost of program is $4,300 due in October (autumn tuition due date). Students are expected to pay for roundtrip airfare and most food (although some dinners and lunches are included). All excursions are covered as part of the program fee. The Honors Program is passionate about study abroad and the incredible impact it can have on a student’s life. Don’t assume you can’t afford to study outside of the U.S. Here are resources to help you get started on your global adventures! The Honors Program offers a number of scholarships for current Honors Program students. These scholarship funds may be used for UW approved study abroad programs or exchanges. Students may apply beginning in late January (deadline is March 30). Every student who applies and is accepted to a study abroad program is considered for a scholarship. Scholarship awards are dependent on need and students may be awarded up to $4,000. Visit the study abroad office in 459 Schmitz Hall to learn more or click here. Students may also email goglobal@uw.edu for an advising appointment. There are several outside resources for study abroad scholarships. Visit the UW’s Study Abroad Scholarship page for more information on scholarship support as well as information about GET funds and how you may apply the GET to your study abroad costs. You may find more information about using your existing financial aid for study abroad on the Study Abroad Office’s Financial Aid webpage. In general, all financial aid awarded may be used to support study abroad. Exceptions to this include tuition waivers, work-study awards, or scholarships that are specific about using the award for tuition (although there may be flexibility with some scholarships, please check with the financial aid office). Tuition waivers and work-study are never allowed for study abroad. You may also turn in a “Revision of Need” form with the Financial Aid Office if you have a FAFSA on file. Once you are accepted to a study abroad program, visit the Study Abroad Office to obtain a budget for your study abroad program then complete the Revision Request and turn in both the budget and the revision request to the Office of Student Financial Aid in Schmitz Hall. Visit the Financial Aid Study Abroad Funding Website for more information about applying for Summer quarter financial aid and for information about Exploration Seminar financial aid timeline (different than A or B term financial aid disbursement timeline). This program is open to students in the Honors Program and also students across campus. The program is focused on recruiting a diverse group of students. Students of all majors are encouraged to apply and the program encourages freshmen-seniors with a special recruitment effort to incoming Honors freshmen. We anticipate a mix of incoming freshmen-Seniors. No prereqs or language requirements, although the program director will encourage students to learn basic words and phrases in Italian to facilitate open and humble learning.